When I started playing this, I thought that the controls were too simple to make an interesting game. There’s only movement, a jump button, an action button, and a simple inventory system. But it turns out that there’s such a variety of interesting items to use, that it’s not a simple game at all. You’ve got melee weapons, guns, spell books that can summon monsters, different hats to equip for different abilities, potions with random effects, light sources, item magnets, cats which shoot lasers from their eyes, unicorn shaped shields, and other stuff. And there’s also a massive variety of enemies, which will require different strategies to defeat or avoid. There’s a lot of interesting ways that the entities in the game can interact with each other. For example: I summon a bunch of skeletons to defeat my foes, one of the skeletons touches a torch and is set on fire, the fire spreads to the other skeletons and eventually to me, and I burn to death. 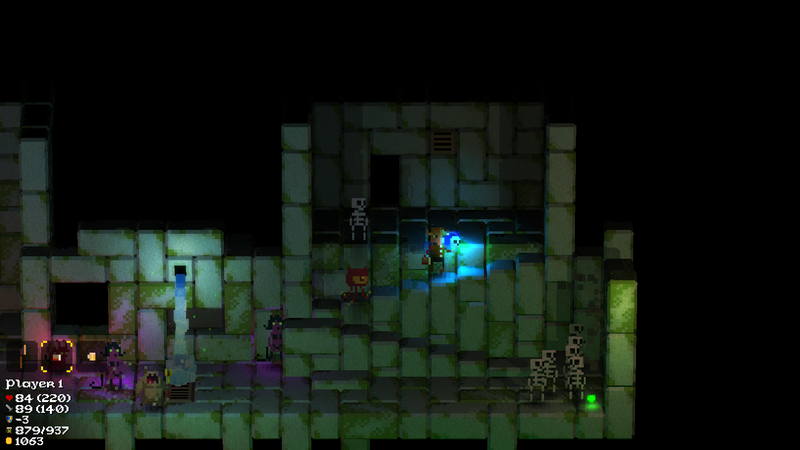 I should also mention that the lighting effects in Legend of Dungeon are amazing, especially in the dark rooms where you need to carry a light source with you. The game is best played in a dark room, for maximum atmosphere. I found the controls quite hard to master on a keyboard, but they work very well with a controller. Also, the shield is overpowered. The devs should probably nerf that or make the other melee weapons more useful. The lighting effects are pretty cool. I tried to like this game. I really did. Everything about it is great; the humor, the music, the action, the graphic style, etc. But it’s so cryptic that it’s almost unplayable without a walkthrough, and using a walkthrough for the entire game would be boring. I gave up a few hours in, once I could no longer make any progress by myself. 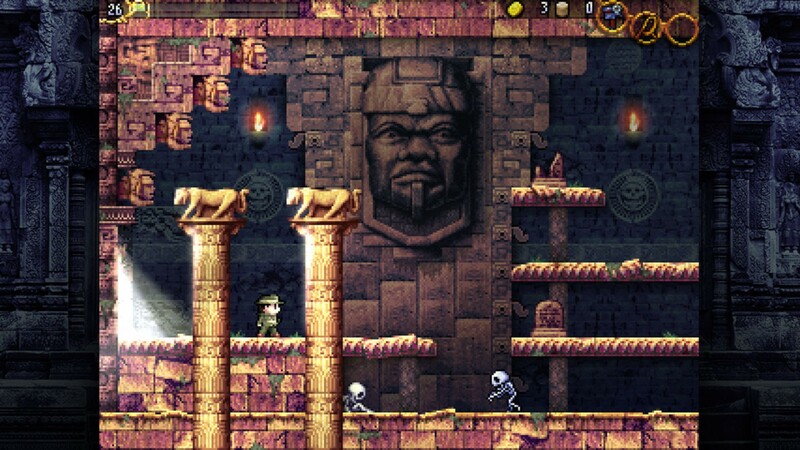 La-Mulana gives you almost no instructions or directions at all, just very cryptic hints that are usually impossible to understand. Some of the more annoying puzzles include invisible floors, or breakable walls that look like normal walls. The world is so massive and has so many path branches that you’ll be backtracking for ages before you figure out what you’ve missed or where to go. Even very important key items like the map and warp system are fairly well hidden! I probably wouldn’t have found them for a very long time, but I checked the wiki when I got trapped in a dead-end room. There’s actually traps that force you to load your last saved game! And they don’t even tell you that you’re perma-trapped! So you have to sit there like an idiot for 15 minutes trying to get out. Ugh. It’s a shame. I really would have liked to finish the game. 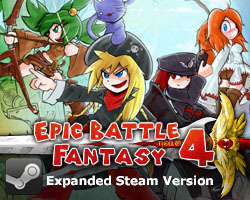 Cause it would be awesome if it was actually playable. If I wanted pointlessly difficult games, I’d pull out something for the NES. But who knows, maybe I’ll give it another try someday. 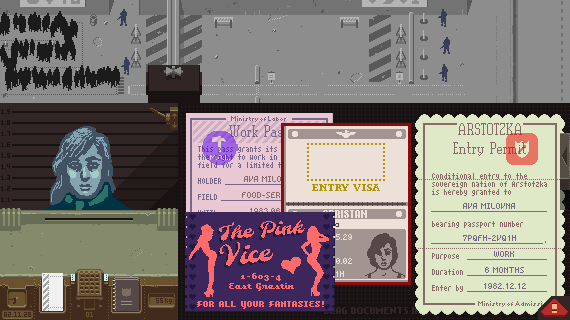 Papers Please is a very unusual game. I’m not even sure how I can describe it effectively. You play as a dude who checks passports for a fictional communist country. Sounds boring right? But so much drama happens. People try to bribe you, they tell you their sob stories, they try to smuggle weapons and drugs, your superiors are eager to punish you for any mistake you make, terrorists ask you for your help in overthrowing the government (and you can! ), and if you mess up, either your family will starve, you’ll be arrested, or you might just die in a terrorist attack. There’s tons of different endings, and all of your actions have far-reaching consequences. I used a walkthrough, because I didn’t find the gameplay very fun, I just wanted to experience the story. But I think the gameplay is supposed to NOT be fun. It’s supposed to be really stressful, and to put you in the shoes of the character you play. And maybe I cheapened the experience a bit by using that walkthrough. Oh well. Anyway! The story was intense! It makes you really think about what effect your actions will have on others and yourself. Intrusion 2 is basically Metal Slug with physics. Objects get thrown around, trees bend and wobble, and enemies wave their mechanical tentacles around. I didn’t really care much for the physics, but I guess that’s what made the gameplay a bit different from similar games. The mech designs were cool and the boss battles were epic. The final battle in particular was one of the most insane boss battles I’ve ever played in a game. My main criticism about Intrusion 2 is that the levels just dragged on for a bit too long. Enemies and scenery just repeated a few times too many. It took me over two hours to play through the game, while Metal Slug fits the same amount of content into a much shorter game with more replay-value. It’s also worth noting that it was made in Flash by one guy! 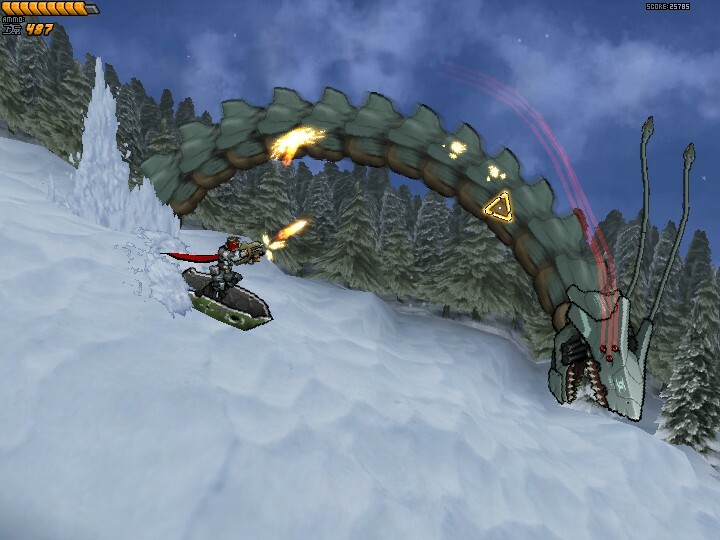 Fighting a giant mecha-snake while snowboarding down a mountain! Don’t know if it was just me, but I really didn’t like the controls in this game. They were just really wonky no matter what settings I used. The gamepad joystick was too sensitive for the shooting parts, but not sensitive enough on the menus. 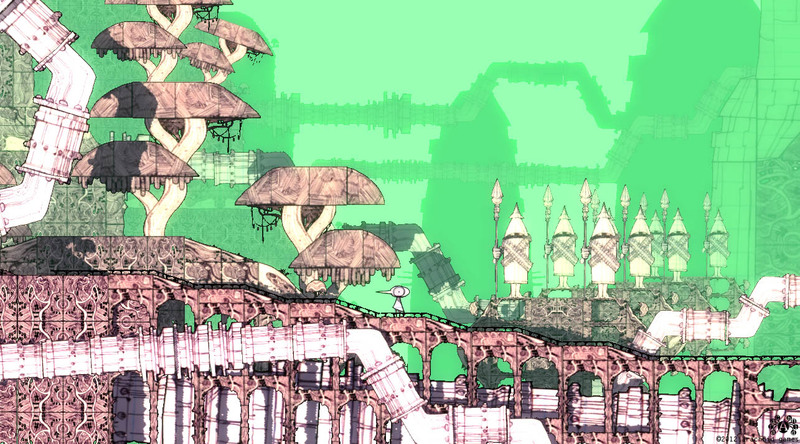 And the mouse controls were horrible for the platforming bits. The platforming bits seemed unnecessary. Why not just give us a menu-based level hub instead of constantly shifting between two types of gameplay? The shoot em parts were quite fun, but felt like they could have been done a lot better. The worst part was how often enemies would go off screen. If enemies go off screen in a shooter, they’re not supposed to come back!! But in this game, they do, quite often. Most of the enemy movement patterns depended on your movement, so you often had to move in a way that would keep them on screen. That’s pretty annoying. Anyway, I played the game for the artstyle, and it surely delivered on unique graphics. The melee weapons on your ship were fun too. But overall I wasn’t too impressed. Everything is a pen drawing! Reus isn’t really my type of game. I just picked it up because it looked interesting, and it was. 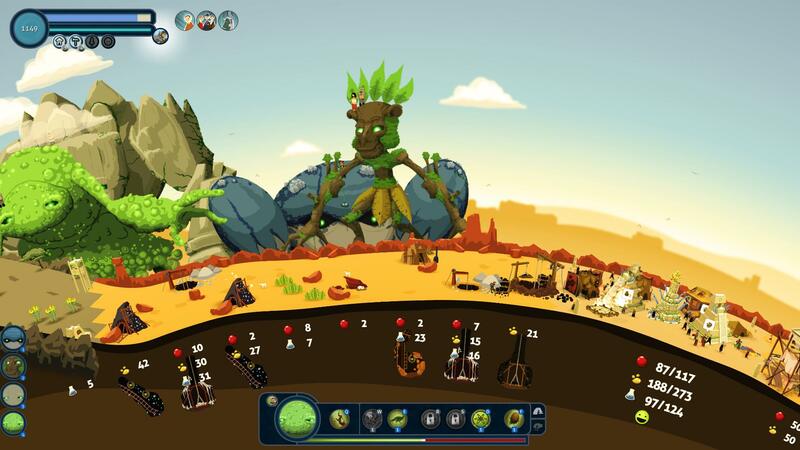 You play as four giants who terraform the world and make it habitable for humans. Then the humans get greedy and start fighting wars with each other, and eventually they’ll even start attacking your giants. At that point it’s time to destroy their civilization with a single punch. Fun concept, but it’s not something I can play for more then an hour or two before getting bored. I also liked that the game looked like it could have been made in Flash. I’m sitting there thinking, “Hey, I could do graphics like that!”. Don’t piss off the giants. This entry was posted in Game Reviews on January 3, 2014 by Matt Roszak. I think I’m gonna get Legend of Dungeon! Your gaming achievements are not going in line with your game development inclinations. I mean, this is not even something I’d call a market research – no prices or popularity listed, gained by the developers of the titles. Just your opinions? You should play the Mardek series! Currently a 3-part indie RPG. The first is a half hour long, the second is about 2-3 hours, and the third is a monstrous 40+ hours! And you can import your saves! Holy balls! Do you think the 4th chapter is coming out soon though? Psuedolonewolf said he’s more interested in making Mardek 4, though he has to finish his current project. He mentioned that if he did get started on M4 afterwards, though, it won’t be ready till late 2015, early 2016, due to his art and narrative style evolving so much since the last one. If you liked most things about La-Mulana except how cryptic it is, you should keep up to date with Nigoro, as I’ve heard that a sequel is in the works that is going to make more sense and be overall more forgiving than the first one, and I’m incredibly excited for it! Also, a few more game suggestions for you, if you haven’t tried them already, include Risk of Rain, Starbound, Teleglitch, and Binding of Isaac, which also has a remake in the works! Happy gaming! Have you played the latest “Sinjid” game? It’s on the armor games website. 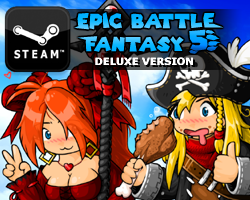 It’s a great action RPG. Newgrounds has a similar problem right now. It claims that Verizon users are all having slow connections to the site because Verizon is having a dispute with Newgrounds’ host provider or something. Maybe the same happened here. In that case, it shouldn’t affect rating (if it would affect rating, Newgrounds would go away from Google’s first page on searches for specific flash games that are known to be hosted on Newgrounds, Armor Games and Kongregate simultaneously). And not everyone is affected by it.